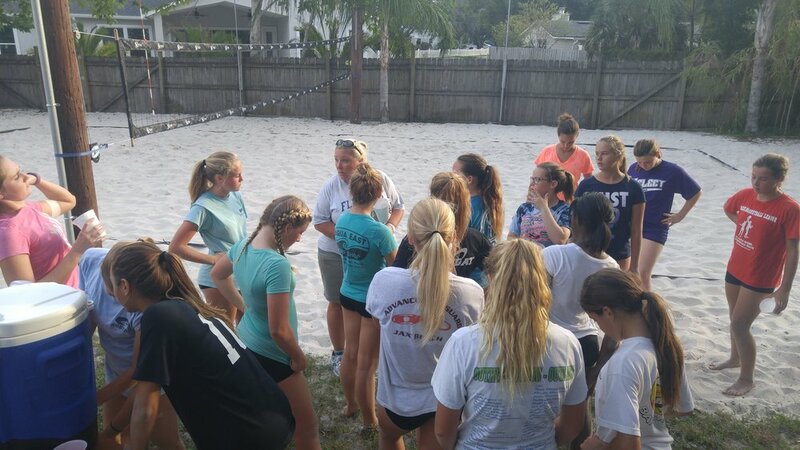 Our juniors sand volleyball club page is a resource page used to keep parents and players informed about local opportunities to train in beach volleyball with Jacksonville Beach Volleyball. We have the highest quality coaches and a privately owned residential sand volleyball court. Practice my also be held at Jacksonville Beach, just south of the pier. As we are well into our off season, we'd like to continue offering the highest class beach training opportunities for juniors to keep up their sand experience throughout the year. We believe that every one should have the chance to learn more about the game from professionals and these Winter Clinics are how we will extend the offer out to you! While it is highly recommended to attend all three clinics, participants are allowed to attend any number of clinic(s) based on your availability. An email will be sent to all registered participants to advise where to attend. Please wear appropriate beach/sand athletic apparel. An athletic wear bathing suit is the standard, but if you feel more comfortable in spandex/athletic shorts and a t-shirt, that is perfectly acceptable. The cul-de-sac "island" is the best option. If it is not available, please park in the in front of the house within the property line. If there is no parking there, you may park in the driveway. Our junior beach club is designed for participants looking to take their game to the next level. If a college scholarship to play beach volleyball sounds of interest, make no mistake, there is no better place in North Florida than Jax Beach Volleyball to make it happen. We are currently working on putting our calendar together. In the meantime, please sign up for the JBVB newsletter for all the latest updates and news. Sign up with your email address to receive news and updates about JBVB and its upcoming events.